Today’s Final Jeopardy (AUTHORS), the September 19, 2016 game between Seth Wilson, Dorcas Alexander, and 2-day champion Siddharth Hariharan. 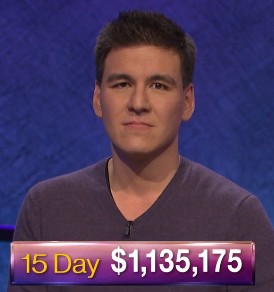 Recap of Jeopardy’s Encore Presentation match (AUTHORS) aired August 26, 2016, the 2016 Teachers Tournament quarterfinal between Bill Knuth, Cory Harris, and Kaberi Chakrabarty, originally aired May 6, 2016. Today’s Final Jeopardy (AUTHORS) on May 6, 2016, the Teacher’s Tournament quarterfinal between Bill Knuth, Cory Harris, and Kaberi Chakrabarty.